Converting an entire site from .NET servers to LAMP servers, and rebuilding an insanely complex XML treatment at the backend to get some fancy data capture form working to their new guidelines to adding overlays for age checks and links that search engines can crawl, to increase traffic from google, bing, yahoo and others. This version of the site was live from 2010 till June 2012. 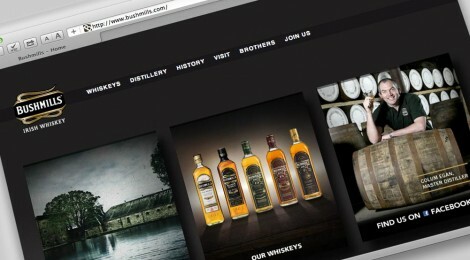 I also helped out with the latest Bushmills site that just went live in 2012 as well.